Stanisław Krajewski, PhD, teaches at the Department of Philosophy of the University of Warsaw. One of the leaders of Jewish renewal in Poland, he is a member of the board of the Union of Jewish Communities in Poland. He has been co-chairman of the Polish Council of Christians and Jews, and in the mid-1990s served on the board of the International Council of Christians and Jews. Member of the International Council of the Auschwitz-Birkenau Museum and Memorial from its creation, since 1992 he has been the American Jewish Committee’s Poland consultant. Krajewski is the author of articles in the field of logic, philosophy, Judaism, and Christian-Jewish dialogue. Among his recent publications are the books (in Polish): Godel’s Theorem and Its Philosophical Interpretations: from Mechanism to Post-modernism (Warsaw, 2003), and54 Commentaries to the Torah for Even the Least Religious Among Us (Austeria, Cracow, 2004). This book is on Jews and Poland, and the relations between the two both today and in the past. I speak not only as an observer, but above all as a participant in Polish and Polish-Jewish life. I present an account of problems from my personal perspective, that of a Polish Polish Jew. This puzzling phrase means that I am a Polish Jew from Poland, or a Polish Jew who is a Pole. To make it clear to the reader where I come from, my personal development is presented in the introduction. The introduction as well as the other eight essays are adapted from papers published in the past decade (with the exception of one printed in 1989), mostly after the year 2000. They are not uniform in character but taken together they give, I hope, a picture of contemporary Poland’s Jewish dimension, together with the historical background of the issues. Each chapter is preceded with a short note explaining the circumstances in which the original paper was written. The main themes of the essays are as follows. Chapter 1 presents the challenge of Auschwitz. This is put at the beginning because the topic seems to be of supreme interest for non-Polish readers. I do not give the history of Auschwitz; I present some problems, their roots, meaning and significance. The same remark – that this is not a history book – applies to all the essays in this book. Chapter 2 summarizes the whole history of Jews in Poland from the present point of view, dealing with the facts, images and stereotypes that are essential for the contemporary perception of Poland and Polish Jews. 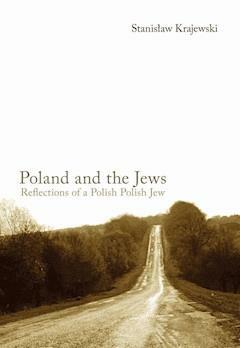 Chapter 3 reviews the main controversial points appearing in the relations between Poles and Jews. Chapter 4 deals with a problem that is still the subject of great interest in Eastern and East-Central Europe, and is virtually unknown in the West, the story of Jewish communists. They used to be relatively numerous and influential, and, in my opinion, this fact implies a moral challenge for Jews. My approach is, I admit, rather controversial. Chapter 5 is essentially a reprint of a text from the 1980s, published in the USA under my penname Abel Kainer. It is about the Jewish dimension of the justly famous “Solidarność”, or Solidarity, movement. Unlike the other chapters, it is not modified (though some footnotes have been added) so that the flavour of that era can hopefully be perceived by the reader. Chapter 6 is about the influence of the Shoah, particularly its indirect influence, on Jews in post-World War II Poland, and especially in the free Poland of 1989 and afterwards. Chapter 7 is about the changes in the Roman Catholic teachings on Jews and Judaism in the last decades. I deal with the Church in general and the Polish Catholic Church in particular. Chapter 8 is about Christian-Jewish relations and, more specifically, the Christian-Jewish dialogue in contemporary Poland. The last two chapters concern the area that is of special interest to me, the Christian-Jewish dialogue. I am writing these words in the first week after the passing of John Paul II. The whole world seems to have been affected. In Poland, the dying and the death of the Polish pope has prompted unprecedented national mourning. The country has virtually stopped functioning for the week between his death and the funeral. It has brought to the light of the day the best qualities in the people around. Conflicts have been put on hold, even the football (soccer) fans have stopped fighting among themselves. Among many unprecedented occurrences it is worthwhile to mention the special prayer services that Polish Jews organized in synagogues. Asked to describe my feelings, which are, I guess, identical or similar to those of many Polish Jews, I would emphasize warm gratitude to that remarkable man, and deep solidarity with the Polish Catholics most of whom seem to feel themselves to be “orphans.” At the same time I feel neither orphaned nor left without guidance. While I never called the pope either “Father” or “Holy”, I have sincerely expressed my admiration and praise of his achievements. They are generally known. It is, however, less obvious that his last years, and in even greater intensity his last days, have brought about another accomplishment; he introduced into public life the presence of an old, handicapped, suffering, and even dying man so different from the young, fit, happy media heroes. And yet he remained a venerable media hero. This unexpected expansion of the category of who is counted among accepted celebrities, is moving and significant to me. In addition to being a university professor, an author, and an active Polish Jew, I am also the father of a handicapped child. But this does not belong to this book. In Chapter 2, on Jews in Polish history, most footnotes are due to Mr. William Brand, the translator of my essay for its first English publication. I have slightly expanded or modified some of them, but this makes me no less grateful to him for his contribution. I am grateful to all the editors of the original versions of the articles used in this volume. They include editors of the books and journals where the texts originally appeared. I would like to mention in particular the following persons whom I have known for a long time: Michał Bron, Elizabeth Cole, Andras Kovacs, Zbigniew Nosowski, Joshua Zimmerman. I am also glad that due to the work on this book I have identified the editor of Chapter 5, Marian J. Krzyzowski. All the chapters are revised versions, some significantly modified, reduced or expanded of formerly published papers. The consent of the original publishers to use those texts is gratefully acknowledged. I would like to thank the following specifically for permission to reprint the essays. – for the Introduction, the editor of European Judaism where the article “A Polish Polish Jew” appeared in the issue 97/1, pp. 101-107. – for Chapter 1, Palgrave Macmillan; the paper “Auschwitz at the Threshold of the New Millennium” appeared in Rememberingfor the Future; The Holocaust in an Age of Genocides (Eds) John K. Roth, Elisabeth Maxwell, Palgrave, Basingstoke, 2001, pp. 322-340. – for Chapter 2, the editors of Więź; the article “‘Jewish problem’ as a Polish problem”, appeared in the special English edition of Więź, “Under One Heaven, Poles and Jews” 1998, pp. 60 – 81 (notes: pp. 338-343). – for Chapter 3, the editors of the monthly Dialogue and Universalism for which the article “Poland and Jews: inescapable issues” was prepared. – for Chapter 4, Central European University’ Nationalism Studies Program; the article “Jews, Communists, and the Jewish Communists” appeared in Jewish Studies at the Central European University, ed… by Andras Kovacs, co-editor Eszter Andor, CEU 2000, pp. 119-133. – for Chapter 5, Marian J. Krzyzowski (Marek Nowak), Director of Business & Industrial Assistance Division, Ross School of Business, University of Michigan; the article “Solidarity and Martial Law: the Jewish Dimension” appeared (under the name Abel Kainer) in Studium Papers (a quarterly published by The North American Study Center for Polish Affairs, Ann Arbor, Michigan), vol. XIII, No 2, April 1989, pp. 54-59. – for Chapter 6, Rutgers University Press, the publisher of the article “The Impact of the Shoah on the Thinking of Contemporary Polish Jewry”, in Contested Memories: Poles and Jews during the Holocaust and its Aftermath, edited by Joshua D. Zimmerman, copyright 2003, Rutgers University Press, New Brunswick 2003, pp. 291-303. – for Chapter 7, Michał Bron Jr.; the article “Catholic Church, the Polish Church, and the Jews” appeared in: Michał Bron Jr. (ed.) Jews and Christians in Dialogue II: Identity – Tolerance – Understanding, Sodertorn Academic Studies 5, Almquist & Wiksell International, Stockholm 2001, pp. 188-201. – for Chapter 8, Columbia University Press, 61 West 62nd Street, New York, NY 10023, for the permission to include a revised version of the article “Catholic-Jewish Dialogue in Poland: a Difficult Road to Tolerance”, in Protecting the Human Rights of Religious Minorities in Eastern Europe edited by Elizabeth Cole and Peter Danchin (pages 490-507). Copyright © 2002 Columbia University Press. I am one of those deeply assimilated Poles of Jewish descent who have become deeply involved Jews. My development, paralleled by a number of other similar Poles, represents the reversal of an earlier story well-known from history. Whilst in the nineteenth century, and in the first half of the twentieth, more and more Jews assimilated into the majority culture, aspired to rootedness in it, and gave up their Jewish heritage, in the last two decades or so I and others like me have regained the Jewish identities and Jewish knowledge that our parents did not pass on to us. We do not need to aspire to being Polish, because we have been raised Polish. All the complexities of Polish culture are not only completely familiar to us (as was also the case with many of our parents and even grandparents) but they are ours; what was given to us as children has become our element. Yet I also feel a bond with all Jews; I know that we are parts of the same faith and fate. This is tremendously important to me. All of these reflections are the result of a rather long search. At first my Jewish identity was nonexistent. My parents in postwar Poland thought that Jewishness was a matter of the past and in the new communist world of equality and justice it would be irrelevant. Then they realized that this was an illusion, and that communism meant different kinds of inequality and injustice. Their friends were mostly communists, and many of them, I realized later, were Jewish. As a rule, they were non-Jewish Jews. Very few spoke Polish with traces of Yiddish; only such people were considered ‘Jewish’ in my parents’ circle. Generally, Jewish themes were not discussed at home; they were a virtual taboo. The main exception was the condemnation of antisemitism that was mentioned from time to time as something awful. It usually referred to the attitudes and views that Jews should not be given full rights to participate in Polish life. The fact was that such views existed not only outside but, increasingly, also inside the Communist Party. At the same time the Jewish communists formed a sizable part of the ruling elite. This created a tension that exploded in 1968 as an official antisemitic campaign, which was a major experience in my Jewish development. There was another exception to the absence of Jewish topics at home; I became aware that my parents wanted to know who was Jewish and who was not. My father, who has a “communist ichus2” used to ritually remark that the fact of someone’s Jewishness did not matter, and in fact my parents always treated people based on merit only. I know this was equally true at the university where he was a professor, yet they clearly felt more comfortable if they knew who was Jewish and who not. It seemed that we were not different from everyone else, and this was apparently the aim of my parents and all others like them. That is why they had nothing to tell me about Jewish traditions or Jewish feelings. I know now, however, that important differences remained, probably indirectly linked to our Jewish origins. This might have been the case, with the stress on intellectual and ethical questions. Also, the fact that we were ‘believing communists’ who thought that any ethnic or religious specificity was to disappear, which was not common even among Communist Party members, set us apart. In particular, we were not Catholic, which was rather exceptional in Poland. Finally and less obviously, we had almost no family; none in Poland, some in Russia, where my parents had spent the war, and some in Israel. My lack of knowledge was so comprehensive that I did not understand the connection between us and Israel. In my teens I acquired a purely negative Jewish identity; an identity imposed as I learned that antisemitism could be directed against me. This feeling became especially acute in 1968, when the ruling communists staged an ‘anti-Zionist’ and anti-intellectual campaign. The Jewish communists, and all Jews and liberals, were accused of being responsible for distortions of communism. This was outrageous, but the Jewish communists who in 1968 came to be the main targets of the system of terror, had been among its main architects, and had participated in the previous dirty campaigns. For years I have pondered the question of the degradation of those communists, who were intelligent, sophisticated, devoted to ethical life; having begun with noble intentions, their zeal led them to participate in oppression and crime. My conclusion is that there exists a Jewish share of responsibility, a reason for us, as Jews, to be ashamed. What is more, the “quasi-religious” involvement in communism was an example of a false religion, of idolatry.3 Does it follow that there exists a true, non-idolatrous religious involvement? The 1968 antisemitic campaign made it clear to me that Jewishness did matter. I felt the power of the Jewish condition and sensed the apparently unavoidable character of the Jewish fate. Still, I lacked any serious Jewish knowledge. Acquiring the knowledge was at first a somewhat detached activity. With my wife Monika, I visited many Jewish cemeteries to take photographs, which later formed her books Time of Stones and more recently A Tribe of Stones. The drive was hers, although she converted only several years later. In order to understand the tombstones we learned some Hebrew and basic Judaism. We had more and more contacts with foreign Jews – it was a deep pleasure to see how similar we were despite the cultural differences. Later, in 1979, we were among the founders of an intense underground seminar, the “Jewish Flying University”. Again, its Jewish and non-Jewish participants were equally ignorant. For the Jews the first aim was therapeutic. It required an effort to learn to be able to say “I’m Jewish” in a normal tone of voice. We also discovered the world of Jewish traditions where I soon started feeling at home. This meant the beginning of a real Jewish identity, one not imposed from outside but derived from a sense of connection. Not in fear but with pride; not an unfortunate ancestry but a fascinating heritage. The Jewish search resulted not only in a connection to the Jewish history and the Jewish people. It was even more important that I found Judaism as a place where my religious needs could be fulfilled. I had obtained a very strong moral education at home but no specifically religious affiliation. I had looked at everything from Buddhism to Christianity. Nothing was sufficiently compelling. Philosophical analysis led to the understanding that in all areas we make unproven assumptions. From that it could be argued that there is a “God of philosophers”, and some Christians said that God was none other but the God of Abraham, Isaac and Jacob. I did not see why. Two experiences helped me understand that there is one God who is the God of Abraham, the God of Isaac, the God of Jacob. One experience was existential, and it cannot be described adequately in a short way. I realized that mutual understanding between humans is possible because God is behind both. The other was a realization that the biblical Shema Israel is directed also to me personally, and that I am part of the covenantal relationship, whether I want to be or not. This realization was made possible by a study of the Torah in a small group with my friend Michael, a Christian theologian. I realized Judaism was for me. I understood – recalled? – that my soul was at Mount Sinai when the Covenant was made with God. Some of us began to recreate rituals. We mostly used American books, and occasional contacts. At the first Passover seder, conducted in my home by a friend who was more experienced because of his trips abroad, I asked the four questions; I really was like a child. The following year I conducted the seder myself. Gradually, I became a seriously practising Jew. One move, which by most Jews is taken for granted as the first step, happened when I was in my early forties. Circumcision is generally not practiced in Poland, so a number of us went through it at a relatively advanced age, thanks to the New York-based Ronald S. Lauder Foundation. I have struggled (and continue to struggle) with some traditional Jewish teachings or practices (for example, discrimination against mamzerim4, or waiting for the Third Temple). But the problems they evoke are among those most important for me. I realized that my parents, striving for equality and justice for all, might have something to do with the age-old Jewish Messianic hopes (and this is, of course, the deepest reason for the anticipation of the Temple). The near total lack of continuity between the prewar and postwar generations of Polish Jews living in Poland made the challenge more difficult. However the satisfaction from accomplishments was greater. We learned a lot from books, especially The Jewish Catalogue: A Do It Yourself Kit, and later from educational activities under the auspices of the Lauder Foundation. Because we could always choose our pace, and our interpretations, there was no need to rebel. The synagogue in Poland is Orthodox. I have learned to feel comfortable there. The pleasure of studying the Talmud does not make me Orthodox, and the feeling that I share the passion of the founders of the Reform Judaism does not make me a Reform Jew. In America, I feel especially at home among Jews who belong to the intellectual ‘left-wing Conservative Judaism’. At the same time I guess that Michael Wyschogrod is right that if we looked for saintly figures we would most likely find them (if at all) among ‘right-wing Orthodox’ Jews. I prefer more traditional practice and more liberal theology. I feel the closest link to Franz Rosenzweig, in whom I see a brother, and I think that I have benefited more from Emmanuel Levinas than from anyone else. The problem of the opposition between Orthodox and Reform is slowly being introduced to Poland, but for a long time nobody wanted to create a formal division. We are too few and the existing divisions are already painful. Even more important, I have come to realize that proper reform, be it slight or deep, can only mean a reform of a tradition. You cannot start with a reform of an empty space devoid of religious traditions. We need a traditional Orthodox background. Recently, the ultra-Orthodox Chabad movement has come to Poland. This means a new challenge from the right wing for the official synagogue, and for the Chief Rabbi, Michael Schudrich. In addition, for a few years in Warsaw there has been an association, Beit Warszawa, which functions, in some measure, as a Reform congregation. I feel that the most serious problem in the confrontation of Judaism with modernity is not so much Torah itself or its various interpretations, but the change in the position of an individual with respect to one’s group, or indeed groups, and its leaders. We do not have to conform to group patterns any more; we can choose. The choice should be informed, so learning the traditions is necessary, but individual freedom of choice will be with us till the end of times, and hopefully also after the coming of Mashiah. The moreJewish I am, the more I can appreciate othersbeingChristian. Also, my Christian friends, especially those who supported me in my Jewish search, make me appreciate Christianity at its best. Hence my involvement in Christian-Jewish dialogue in the past years, also in association with the American Jewish Committee (I am its Polish consultant). The point is not to forget or ignore bad things. It is, rather, to develop trust that makes possible a discussion of all kinds of topics. I believe that there may be one exception here: discussing the status of Jesus puts us against each other in a necessarily non-constructive way. The dialogue has helped me to become more deeply Jewish. In fact I feel more respected for being more faithfully Jewish. In 1990, I was one of a few co-founders of the Polish Council of Christians and Jews, where our common Polish experiences create an important bond, and later I was active in the International Council of Christians and Jews. More recently, I have been studying and teaching interfaith dialogue at the Philosophy Department of Warsaw University, where I work (my first scholarly specialization is mathematical logic). Since the political changes in 1989, I also have been increasingly involved in the kehillah, the religious community, and the main Jewish institutions in Poland. My personal preference also led me to newly-formed Jewish groups, including young people from the next generation after me. We all live in the shadow of the Shoah, the young no less than the old.6 On the one hand it makes our lives, and our Jewish involvement, somehow more significant; on the other, we have to rebel against the overwhelming power of that tragedy, and the way foreign Jews suppose it should influence our lives. We want to lead normal modern lives. We feel that we are a beginning of the new chapter, our own, and not an appendix to the story of the Shoah. In addition, I believe that Poland should be remembered primarily as the place of many centuries of the most important Jewish creativity, and not simply as the site of the tragic end. Shoah has been our background. I myself have taken part in numerous ceremonies, discussions, committees creating monuments and commemorations. Its memory must be perpetuated. Yet it has never been the main source of my Jewishness. I find too often that the commendable commemorations and museums of the Holocaust are just that; they play the role of the core of Jewishness. The museums replace the synagogues and houses of study, Auschwitz replaces Sinai. I find this ‘cult of the Holocaust’ misleading not only because it does not reach to the living sources, but also because it easily creates morally wrong conclusions. The passionate identification with victims can lead young Jews to the idea that they are themselves survivors. Then the picture is: we Jews are the victims, the innocent good people; the others are the bad guys, the enemy, the guilty. While this makes sense in relation to the Shoah, it does not do justice to all later situations. Interestingly, my contacts with Medinat Israel, the state of Israel, were not of major importance at the initial stages of my Jewish search. I visited my family there as a child, but I was too young to feel a personal connection. My later contacts have been quite intense, and my feelings about Israel are very strong. I was among the founders of the Polish-Israeli Friendship Society. I am pleased that my grandfather is buried on Har ha-Zetim7, in Jerusalem, and I hope for great developments there. In the presence of Israelis I try, though, not to express my hopes that Israel would be a better country than any other. Yet I am not a Zionist. I think that Zionism has won because Medinat Israel is a fact. Today’s Zionism would mean in practice to make Medinat Israel the essence of one’s Jewishness. I do not think this is the right way. Contacts with Israel are of vital importance. Yet I think that despite all the differences, Israelis have as much problems with their Jewishness as we do. The State of Israel is a part of a larger entity, the Jewish people. I have travelled the way of assimilation in the opposite direction. Interestingly, in my case, as well as in the case of some other similar Polish Jews, this de-assimilation hasnot meant de-Polonization. We are culturally Polish; we remain Polish Polish Jews. My initial hopes, however, that Poland’s Jewish community could have tens of thousands of active members have proven unfounded. The community grows, but its chances for survival are unclear. There are also growing internal tensions. I feel them, live them, and attempt to console myself that this is the Jewish condition, too. But Judaism is hope. Above all, I hope that Polish Polish Jews will never disappear from the Jewish world or from Poland. Auschwitz is increasingly important as a symbol: it is a challenge to all of us. How should the site of the former death camp look? How is the camp to be remembered? One problem is a specifically Polish controversy: Was the fate of all the inmates identical? In Poland, the answer is often that yes, all suffered in a similar way. We must therefore address the question whether Auschwitz is one symbol or many symbols in one. Some controversies – that of the Carmelite Convent or the field of crosses – have been resolved. Others, such as the church in Birkenau or the Papal Cross, continue to stir debate. The general problems, disturbing not only from a Jewish perspective, are the following: “de-Judaization” of the site, “banalisation” of the crime, and the anonymity of the victims. Most disturbing are the attempts to instrumentalise Auschwitz, including a tendency towards Christianisation of the site. It is either the result of ill will or, more often, a consequence of the dominant Christian way of commemorating the victims (for example singling out “the saints”). All these questions demand a consideration of the many levels of the significance of Auschwitz, a task that is impossible to complete without taking into account the theological dimension. Interestingly, the divisions between those who prefer a religious dimension in their monuments and commemorations and those who do not, are independent of the divisions into Jews and Christians. The text is adapted from “Auschwitz at the Threshold of the New Millennium”, in the volume: Remembering for the Future; The Holocaust in an Age of Genocides (Ed) John K. Roth, Elisabeth Maxwell Publishing House: Palgrave, Basingstoke, 2001. An earlier version of this paper, entitled “Auschwitz as a Challenge”, has appeared in the author’s book Żydzi, judaizm, Polska (in Polish; Vocatio, Warsaw 1997) and in the Polish monthly Midrasz No 0 (1997); English translations were published in “The Best of Midrasz 1997” (abbreviated version) and in Dialogue and Universalism 5-6 (1998). What should the site of the former death camp look like? How is the camp to be remembered? These questions demand a consideration of the profound significance of that place, a task that is impossible to complete without taking into account the theological dimension. What does Oświęcim-Brzezinka – or rather Auschwitz-Birkenau – mean to us? (I believe that it is better to use the German name in order to distinguish the once normal Polish localities from the terrible places created by the Nazi Germans). Regardless of whether we remember that period or were born decades later, Auschwitz is a trace, a cemetery, a place of remembrance, a museum, and, most of all, a symbol. What does it symbolise? The answer depends on where we pose the question. Everywhere outside Poland the camp is a major symbol of the Holocaust, the Shoah, the mass murder of Jews by Nazi Germany, carried out as part of the campaign to “cleanse” the world of Jews. In Poland, this meaning of the symbol is known by many but not by all, and Auschwitz is seen primarily as a symbol of Polish martyrdom during the German occupation. Precisely because it is a prominent symbol, or even a double symbol, the mode of its preservation, remembrance, and explanation remains such a great challenge. Let us ask first: Is Auschwitz a suitable symbol of the Holocaust? On the one hand, a number of reasons can be given to say that it is. In the first place, we are dealing with the scale of the phenomenon: over a million people were murdered in what was a true death factory. Secondly, there was the impeccable organisation, large-scale transport (given priority even at the cost of other war and civilian efforts), and the infamous camouflage measures (“showers” in the gas chambers). Thirdly, one remains astonished by the modern scientific methods of organisation of labour and technical innovations (including killing by Zyklon B, which in itself became a symbol of Auschwitz). All these elements are the reason why Auschwitz can hardly be compared to past acts of extermination, even those conducted on a huge scale. On the other hand, we could question the role played by Auschwitz as the principal symbol of the Holocaust: the camp was also a forced labour camp, and its “products” were not only death but also labour, especially in the Monowice chemical works and other enterprises which together formed Auschwitz III. Together with the original camp, Auschwitz I, and Birkenau (Auschwitz II), they formed an enormous, diverse camp complex. Should it be treated as one entity? In Poland, some people have attempted to recognise Birkenau as a symbol of the Jewish Holocaust, and Auschwitz I as a symbol of the Polish ordeal. True, for the first two years, the inmates of Auschwitz I were chiefly Poles, and later the immediate killing of Jews from transports took place primarily in Birkenau, the site of the main gas chambers and crematoria. Nonetheless, Jews were found everywhere, and during the war these camps constituted a unity, under joint command. The name “Auschwitz” referred to that larger entity. Furthermore, a relatively large group of people survived Auschwitz. Perhaps a more appropriate symbol of the Jewish Holocaust would be Treblinka, which was exclusively a death camp, whose victims were almost as numerous as those of Auschwitz, and which almost no one survived? Well, I feel there is no sense in posing such questions. Symbols of this kind are not devised intellectually, but appear independently of anyone’s specific plans. How? The foremost reason should be seen in the relatively large number of camp survivors; mass extermination of transports ceased during the last few months prior to liberation in January 1945. In those last months there were no more gas chambers. On the day of liberation, there were 7,000 survivors. Some others survived the death march to Germany. Much earlier, when Auschwitz was still used mainly as a prison camp, some inmates were discharged and returned home. It is extremely important that the Auschwitz survivors included among their number such talented writers as Tadeusz Borowski, Primo Levi, Elie Wiesel and others. Is the presence of so much excellent literature among Auschwitz accounts the prime reason for endowing the camp with the rank of a symbol? Whatever the causes, Auschwitz is and will remain the symbol of the Holocaust and of the “age of crematoria.” The very term functions in a symbolic dimension when used in such expressions as “theology after Auschwitz” or in such statements as Adorno’s that “It is a barbarity to write poetry after Auschwitz.” Everyone has to come to terms with this state of things since this cannot be changed. For the same reason, however, one cannot negate the fact that Auschwitz possesses a second, Polish, symbolic meaning, and that there are grounds for it since the camp played a special role in Nazi policy directed against the Polish nation. Already during the war, the word “Oświęcim” in everyday speech denoted a terrifying place where one could find oneself for actual or alleged crimes against the occupying forces. Goodwill can only mean the acceptance of both symbols. In my opinion, they can coexist instead of competing with each other. Such coexistence remains mostly ignored abroad where little is known about the Polish meaning of Auschwitz; similarly, in Poland, only recently has an awareness of the Jewish dimension of the place become more widespread. 2. A Polish Controversy: Was the fate of all the inmates identical? Was the Auschwitz-Birkenau complex a concentration camp whose inmates were degraded until they perished or was it a death camp? This is the sort of question that should remain unasked. Obviously, it was both the one and the other. Unfortunately, many commentaries as well as numerous disputes concerning the “ownership” of the camp are the consequence of posing precisely such questions and the ensuing diverging answers. In Poland, it is sometimes silently presupposed that the camp was “only” a very cruel prison, most often leading to death of its inmates. The “welcome” speech of the camp commander contained the declaration that “Jews are entitled to live two weeks, priests – a month, and others – three months.” These words are quoted to prove that priests were persecuted almost as badly as the Jews. In some sense this is true. Martyrs among clergymen deserve to be remembered and honoured. But this is not to say that the wartime fate of the clergy was comparable to that of the Jews. The very fact of being a priest in a Polish or other town occupied by the Germans was not tantamount to a death sentence, but to be a Jew signified exactly that. Even more importantly, for most of the existence of the camp, its Jewish inmates were those few members of Jewish transports who had passed initial selection. The majority of Jews were victims of immediate murder and not of the horrible concentration camp. The same cannot be said of clergymen, and thus the comparison is misleading. A similar Polish reaction is produced by the statement that the child victims of the camp were either Jewish or Roma. After all, following the outbreak of the Warsaw 1944 Uprising, over 10,000 residents of the capital, including children, were detained in Oświęcim. Their recollections serve to demonstrate their “ownership” of Auschwitz. Once again: the history of their suffering, which cannot be forgotten, is part of Auschwitz as a prison camp, a place of detention, of starvation and destructive forced labour. There can be no comparison, however, with the fate of Jewish children. Not only was their number incomparably larger but they were, as a rule, murdered in the gas chambers on the day of their arrival. They were not inmates of the concentration camp but victims of the death camp. Polish public opinion has been strongly influenced by the reminiscences of Polish Christian inmates and their conviction about the identical nature of their fate and the lot of Jews. Such a stand is the outcome of tragic and unforgettable experiences. I am by no means inclined to question the truth contained therein. But this is not to say that the thesis about the identical character of the fates of different categories of the victims is true. There existed some differences even among the inmates: Christians, unlike the Jews, had the right to receive parcels. The most important factor is, however, the difference of background experiences. The Jewish prisoners were those who managed to escape death on the very first day of their detention. As a rule, on that same day they lost many members of their families, sometimes their whole immediate families. This was the beginning of the camp ordeal, incomparable to the fate of the non-Jews. For the “Aryans”, Auschwitz was “only” a labour camp, destructive and potentially fatal. Their families usually remained free. The Jews perceived Auschwitz as a death camp, frequently the site of the passing of their entire families. No one waited for them outside the camp, and no one prayed for them. Even if their subsequent camp experiences resembled those of the other inmates, their fate remained different. For a Jew, the camp number tattooed on his or her forearm signified good fortune, the avoidance ofinstant annihilation. For a Polish non-Jew, it denoted the worst version of life in occupied Poland. It is difficult for most Poles to understand that “to become a number” could be a reason for satisfaction. The consequences of those differences of approach became apparent with full force during preparations to the fiftieth anniversary of the liberation of the camp, celebrated in January 1995. Former inmates living in Poland hoped that the ceremonies were to be their festivity. Many expressed (quietly) their discontent that so much was being said about the Jews and not enough about their own history. “We all suffered in the camp!” they argued. For them, Auschwitz was a camp of inhuman life, but life all the same. The greatest misunderstanding occurred on the occasion of the visit of an unusually large group of heads of state. The Polish survivors obviously presumed that the leaders of the world were coming to see them and to pay tribute to their suffering. In contrast to that approach, all over the world Auschwitz remained a symbol, or even the, symbol of the Holocaust. In 2005, during the sixtieth anniversary, with over thirty heads of state, the tension was less acute, though this was probably the last big occasion for the former prisoners to be present together with the leaders of the world. The reason for less trouble seems to be, partly, because the pre-eminence of the Shoah in world consciousness is better understood. Still, only a minority in Poland understands that there were two vastly different categories of victims: the prisoners and the Jews who were immediately gassed.